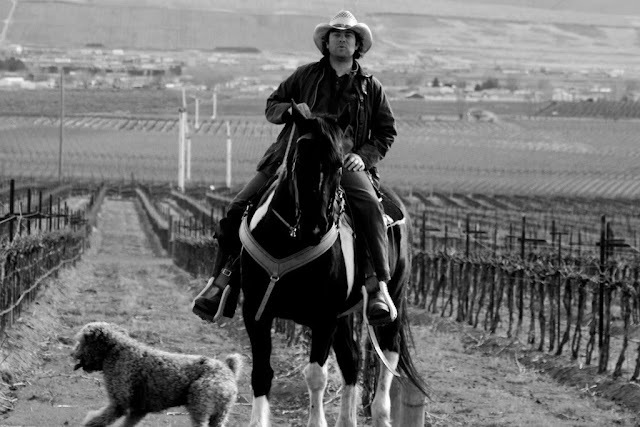 Boo Walker walked out of his job at a short term equity fund on Wall Street and moved to the west coast where he took up residency in a double wide trailer situated on several acres of Malbec vines in close proximity to the Hedges Family Estate which leads to his being educated in the agricultural and philosophical aspects of wine craft. Currently, Walker works for Hedges in sales and marketing; in his spare time he is an accomplished thriller writer. Lynn and I happened to come upon one of the Hedge Family Estate offerings, The Bacchus Merlot at a wine store in Brooklyn. Lynn, being especially enamored of the Merlot traced it back to Mr. Walker who she emailed and the result is the following thoughtful email interview with Mr. Walker. M & L: How did your love and appreciation of wine begin? BW: "I grew up in a wine-loving household in South Carolina, but at some point in my early twenties, I had the awakening realization that wine was more than just a beverage. I'm an artist. I played banjo and wrote songs for the Biscuit Boys in Nashville, and I also write fiction. So I'm always on the search for ways to express myself, and I equally enjoy seeing how others express themselves. Wine is a wonderful conduit. In Tom and Anne-Marie Hedges case, they put in everything they had, took a chance on some land on Red Mountain, built their lives around these vines, began to ferment the juice, put their mark on the bottle, and spread it to the world. We just heard that John Grisham loves our DLD Syrah and drinks it quite a bit. I'm sure Tom and Anne-Marie have read several of his books. How beautiful of a circle is that? Wine, like music or writing or any form of artistic expression, is a way to put everything you have into something, every emotion, every dime, every last ounce of energy and sanity, and then share it with the world. So back in Charleston, in my early twenties, a few key figures started telling me those tales about terroir and vineyard expression and what it took to be a vigneron. It was then that my passion for wine exploded." M & L: Can you explain the idea behind the Hedge Family Estate's philosophy of Score Revolution? BW: "More than a decade ago, Christophe Hedges was on the road in Manhattan slinging Hedges wines, and like almost every supplier in the country, he carried along a laminated sheet of paper featuring all the high scores and accolades Hedges Family Estate had been given over the years. As we know too well in the biz, scores are an easy way to sell wine. But on this particular occasion, Christophe ran into a particularly passionate chef who essentially kicked him out of the restaurant before even tasting the Hedges wines, stating, "How dare you come into my restaurant and show me a number that some man that I don't know has assigned to these wines and assume that should move me?" Christophe had already been thinking along those lines, and not too long after, Hedges Family Estate requested that no one ever score their wines again. Write about them, please, but never try to sum them up with a number. The scoring system was a helpful tool back in the old days, but now it has gotten in the way of the winemaker expressing his art. I could go on for days, but my favorite example is of a couple wineries I heard about in CA that offered substantial bonuses to their winemakers if they were able to get a 94 or above on their wines. If you were one of those winemakers, what would you do? Would you think, "Forget the money. I'm going to make a wine that expresses this vineyard, and I'm going to make a wine I enjoy." Or would you think, "My family could really use the money. I'm going to do everything I can to get that high score, even if it means I compromise the integrity of the vineyard and make a wine I don't enjoy. I'm going to study what the men who give the high scores like and make that wine." I'd like to think I know what I'd do in that situation, but I'd probably be fired. So the scoring system can often force winemakers to make these massive, over-blown wines that compete well in blind tastings in a lineup of one hundred wines, but when you sit down to really get to know them at the dinner table, they can often be too loud or shallow and uninteresting, like a guest you wish you hadn't invited. The Scorevolution (www.scorevolution.com) manifesto is a petition that will hopefully help to destroy this dying system and assure the masses that it's okay to like what you like." M & L: Merlot took a hit not long ago due to a single disparaging line of dialogue in the film Sideways. Has the process of healing Merlot's reputation begun? BW: "It's amazing how a movie can do that, but it's true. To this day, I hear people say they hate Merlot, and I always have the sneaking suspicion that Miles in Sideways coerced this response. Little do most people know, the reason Miles ranted, "I'm not drinking %^&*ing Merlot," is because it reminded him of his ex-wife. The bottle he drank in the end out of the styrofoam cup, his most prized bottle, had a ton of Merlot in it. But like all trends, this one is slowing. To look at it positively, perhaps it weeded out some of the bad Merlots out there. The truth is that Merlot is a wonderful variety (some of the most expensive wines in the world are Merlot substantial) and when it's done right, it has enough backbone to stand on its own, it can have multiple layers of character, and great age-ability. Will it be the next big thing? I'm not sure if we're ready for that, but I know our Independent Producers (HIP) Merlot is moving really well, so there are people our there asking for it again!" 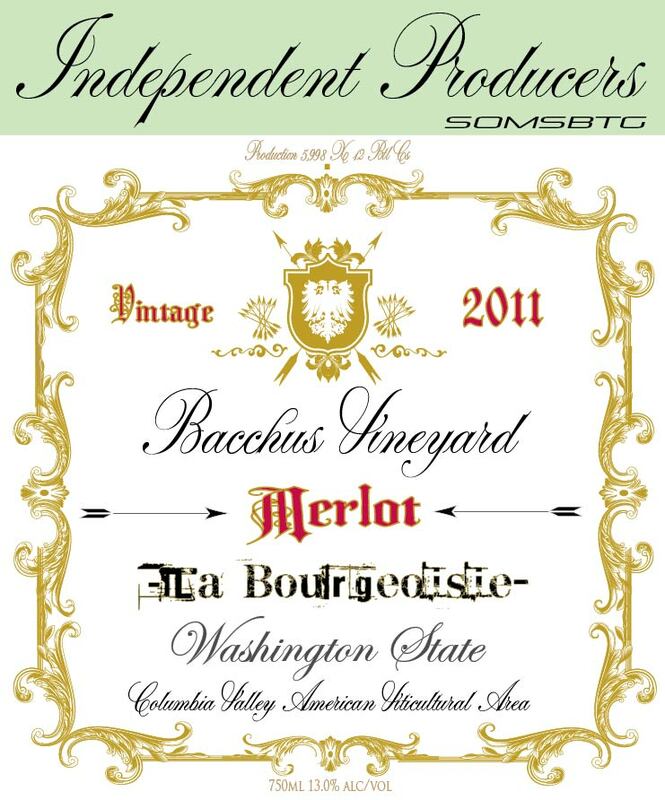 M & L: Speaking of, what kind of film would you pair with Bacchus Merlot? BW: Great question. We call it HIP Merlot in house, HIP being the acronym for House of Independent Producers. 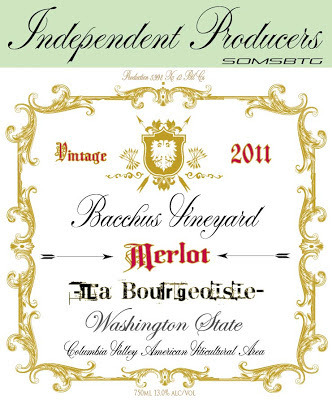 Bacchus is the name of the vineyard where the Merlot comes from. You know, it's a single-vineyard, unadulterated wine that almost scoffs at the pretentious. We harvest early, keeping the alcohol and acid in balance, and I think picking the grapes early also tends to capture more of the vineyard character. In addition, it sees less than six months in oak and there are no special "tricks" done to add color or make the wine something it's not. It's a wine made in the vineyard, with soul and breathtaking individuality. It reminds us that beauty is in simplicity. Let's take that thought to Hollywood. In a world of heavily over-produced movies that focus more on special effects than human connection, it's always nice to find a movie with a bit more heart and a lot less monotonous action. There happens to be such a movie out right now that is a perfect pairing with the HIP Merlot: Before Midnight, directed by Richard Linklater. It's his third installment starring Ethan Hawke and Julie Delpy. There are no special effects, no action scenes, and very few location changes. The human connection between the two characters, with their thought-provoking dialogue, is what carries the movie."